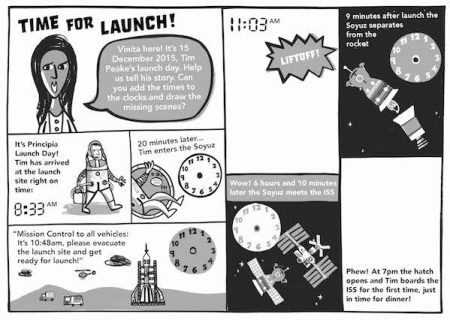 Learn about time and duration while completing a comic strip! 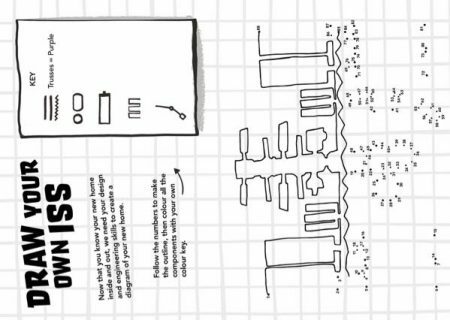 The creative/visual elements in this activity, such as drawing, provide a way in to the complex topic of time, and challenge students to make links between analogue and digital time. 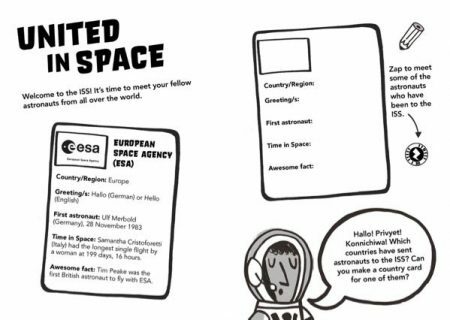 It's time to find out about fellow astronauts and research the countries who have been to the ISS. Students will research a chosen country and create a card to highlight the key points. They will learn about how information can be presented in different ways, for example in long form or short form. 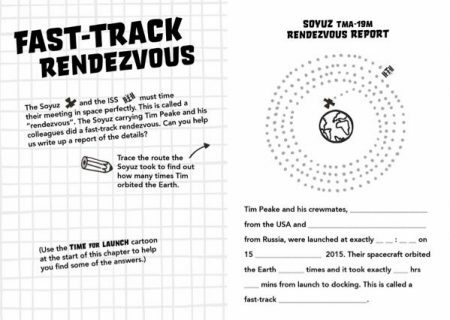 Time to draw a diagram of the ISS and reinforce the learning from Activity 3.1. Students will complete a dot-to-dot then, create a colour code and then colour their drawing. It's gardening time! 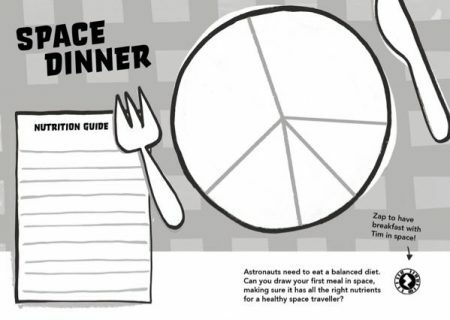 Use the Zappar App to find out about the 10 foods that scientists can grow in space and choose one to research. 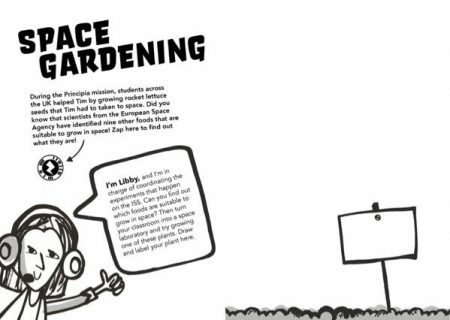 If you have a gardening programme at your school or home perhaps you can incorporate a space garden! Water is scarce on board the ISS and an intricate recycling systems allows astronauts to reuse every drop. 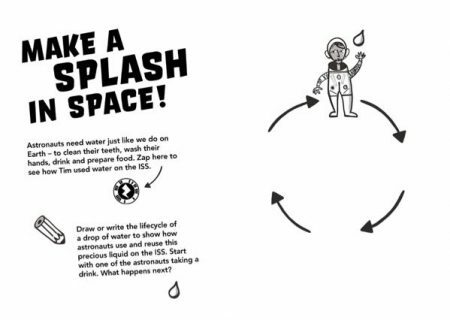 Students will research and draw a lifecycle of a water droplet on the ISS. Where are you in space history? 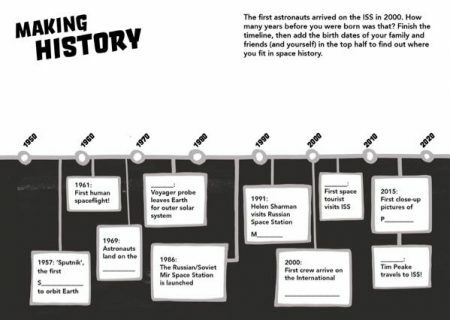 Students will add their own birthdates to the space timeline and interview family and friends about their favourite space memory. 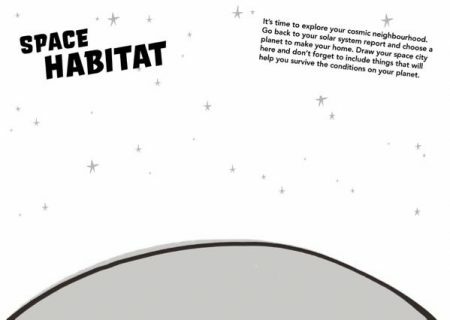 After completing the Solar System activity students can create their own imaginary space habitat. They will need to choose a real planet and make sure their home and resources are suitable for the conditions on that planet. Humans need robots to do some of the jobs that are too difficult, or too dangerous, for astronauts. 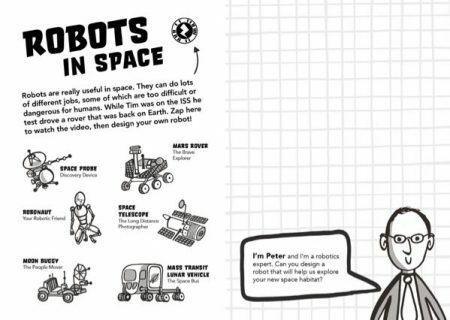 This lessons invites students to research the kinds of robots that are used, what they do, and then design their own. 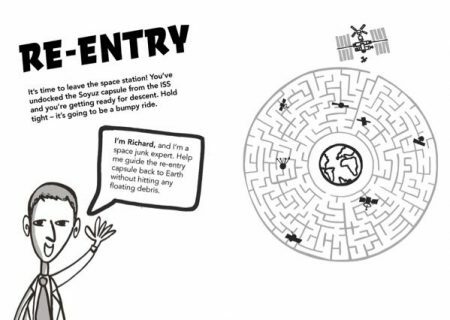 A simple puzzle helps students understand the complicated and dangerous process of returning to Earth from the ISS. Students can watch videos to see how the process works, and they can research space junk (space debris) which is one of the main hazards. 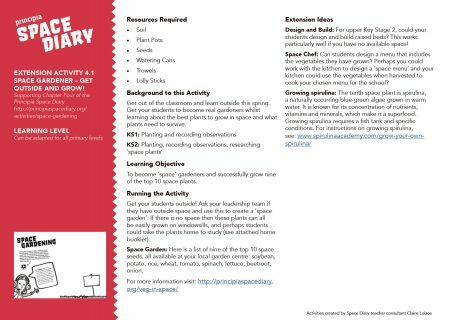 Challenge your students with this great map-making activity. 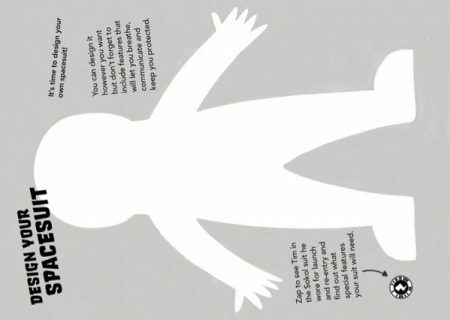 This lesson compliments teaching on units of measurement, length and distance (cm, m and km) and will develop pupils' understanding of the concept of 'scale'.